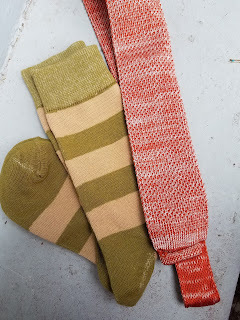 The ABCD Diaries: Harrison Blake Apparel Puts a Spring In Your Guy's Step with Fresh Accessories Monthly! Harrison Blake Apparel Puts a Spring In Your Guy's Step with Fresh Accessories Monthly! B works a job that requires him to dress fairly nicely, so he loves freshening up his work wardrobe with the occasional new tie or accessory. A subscription to Harrison Blake Apparel is a great way to add great, quality pieces to his collection each month! 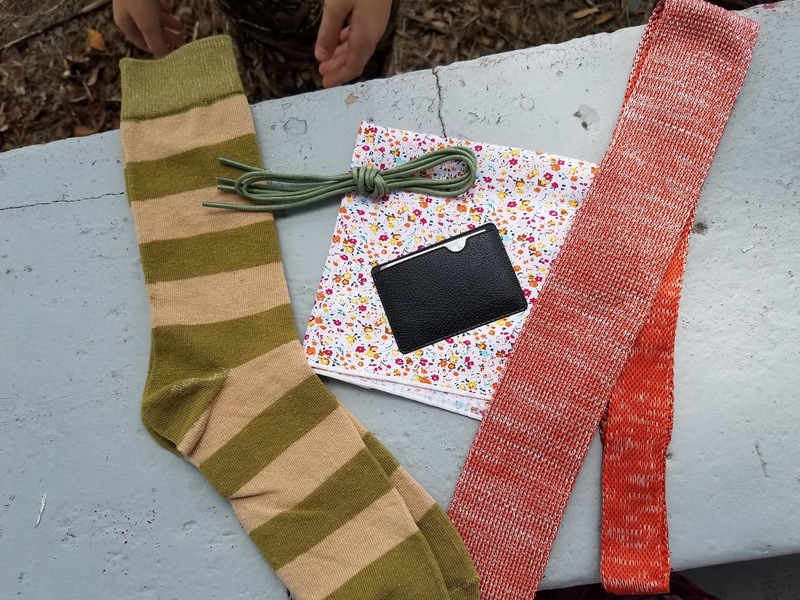 Harrison Blake is a family owned and operated business that offers great men's neckwear and accessories and they have the Harrison Blake Monthly Subscription to deliver monthly goodies from their collection. 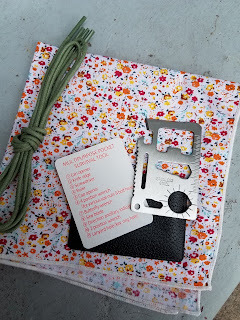 The cost is $25/month ( wih discounts for longer subscriptions) and shipping is free. Each monthly box promises to contain 1 necktie and 4 additional accessories, such as pocket squares, lapel pins, tie bars and more. Each box is completely coordinated and easy to style, making it simple to dress to impress. I love that everything matches somewhat. That makes it so easy to coordinate a new fresh look for Spring:) The total retail for this box would be over $50 if purchased separately which means the monthly cost of the box is super affordable at only a fraction of that cost.. 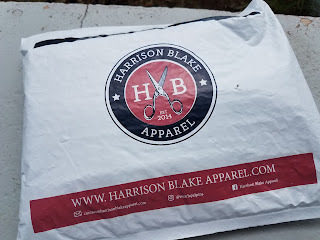 If you have a professional man in your life, a subscription to Harrison Blake Apparel would be a really cool gift! Click to shop Harrison Blake Apparel! Use the code SEASON to get $15 off of your first month!